Inspired by Carnival’s highly popular towel animals – an iconic element of the “Fun Ship” vacation experience that greets guests as they return to their staterooms each evening – the line has introduced a six-foot-tall “towel elephant” who has quickly become an on-board favorite. 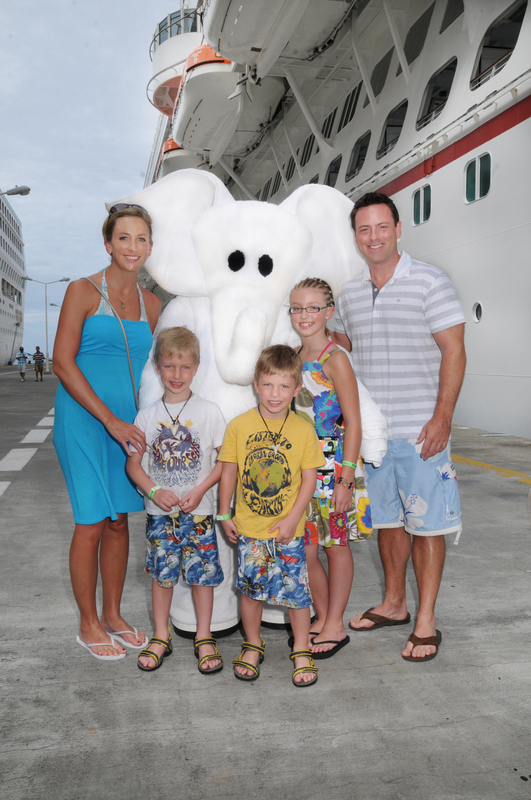 Currently featured aboard the Carnival Dream, the as-yet-unnamed terrycloth pachyderm frequently interacts with guests along the promenade and makes regular visits to the Camp Carnival play area, posing for photos and keeping kids amused and entertained. In addition to the Carnival Dream, the towel elephant is planned for five other Carnival ships — Carnival Imagination, Carnival Freedom, Carnival Miracle, Carnival Sensation and Carnival Magic, which is set to debut May 1.